Scientists have produced the firmest evidence yet of so-called sterile neutrinos, mysterious particles that pass through matter without interacting with it at all. The first hints these elusive particles turned up decades ago. But after years of dedicated searches, scientists have been unable to find any other evidence for them, with many experiments contradicting those old results. 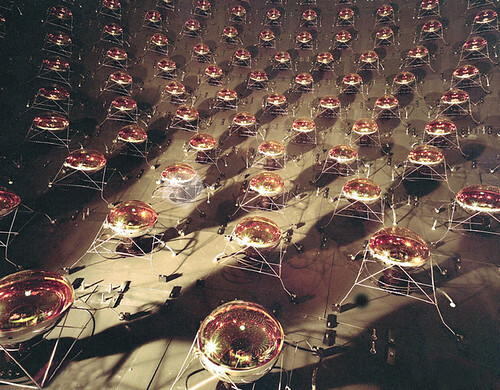 These new results now leave scientists with two robust experiments that seem to demonstrate the existence of sterile neutrinos, even as other experiments continue to suggest sterile neutrinos don't exist at all. That means there's something strange happening in the universe that is making humanity's most cutting-edge physics experiments contradict one another. Now, MiniBooNE — a follow-up experiment at Fermi National Accelerator Laboratory (Fermilab), located near Chicago — has picked up the hidden particle's scent again. A new paper posted to the preprint server arXiv offers such a compelling enough the missing neutrino to make physicists sit up and notice. The Standard Model of physics has dominated scientists' understanding of the universe for more than half a century. It amounts to a list of particles that, together, go a long way toward explaining how matter and energy interact in the cosmos. Some of these particles, like quarks and electrons, are pretty easy to imagine: They're the building blocks of the atoms that make up everything we'll ever touch with our hands. Others, like the three known neutrinos, are more abstract: They're high-energy particles that stream through the universe, barely interacting with other matter. Billions of neutrinos from the sun pass through the tip of your finger every second, but they're overwhelmingly unlikely to have any impact on the particles of your body. Both experiments have now reported more neutrino detections than The Standard Model's description of neutrino oscillation can explain the authors wrote in the paper. That suggests, they wrote, that the neutrinos are oscillating into hidden, heavier, "sterile" neutrinos that the detector can't directly detect before oscillating back into the detectable realm. 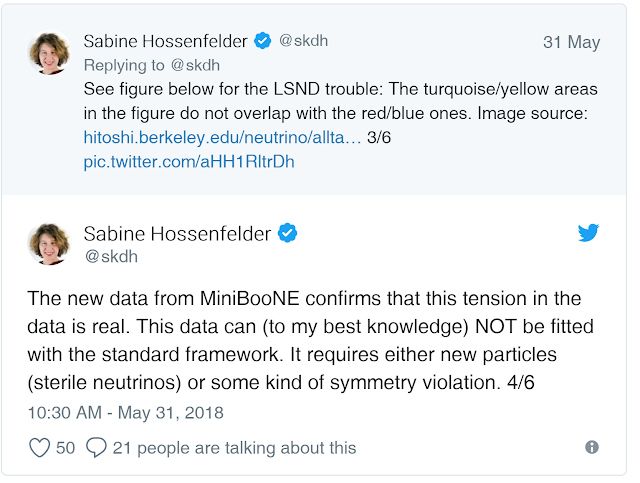 The MiniBooNE result had a standard deviation measured at 4.8 sigma, just shy of the 5.0 threshold physicists look for. (A 5-sigma result has 1-in-3.5-million odds of being the result of random fluctuations in the data.) 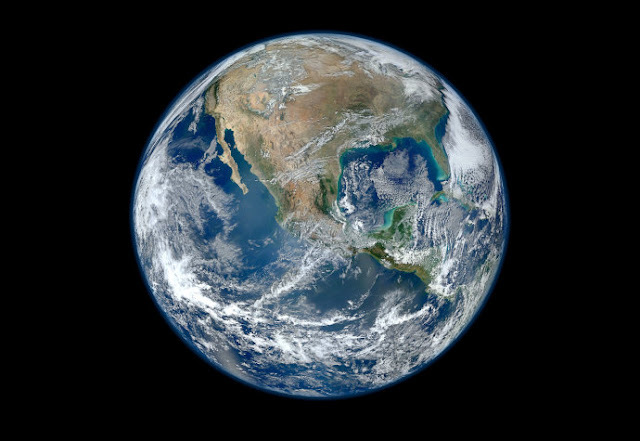 The researchers wrote that MiniBooNE and LSND combined represent a 6.1-sigma result (meaning more than one-in-500 million odds of being a fluke), though some researchers expressed a degree of skepticism about that claim. If LSND and MiniBooNE were the only neutrino experiments on Earth, Scholberg said, that would be the end of the matter. The Standard Model would be updated to include some sort of sterile neutrino. 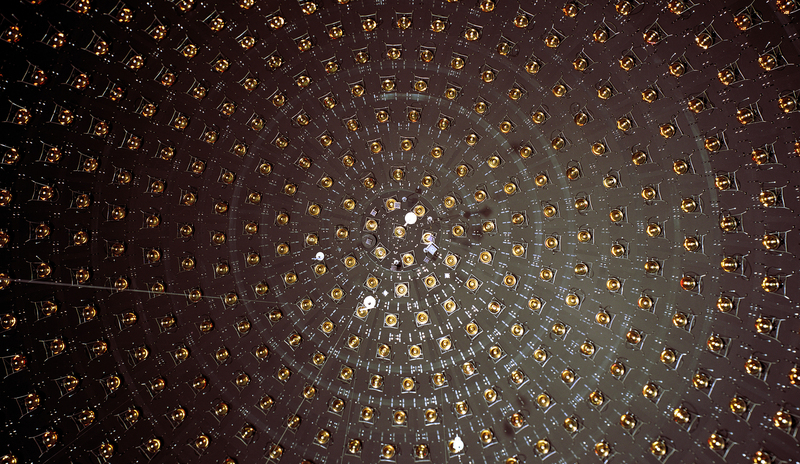 Sterile neutrinos weren't a rejected idea, Scholberg said, but they weren't accepted science. 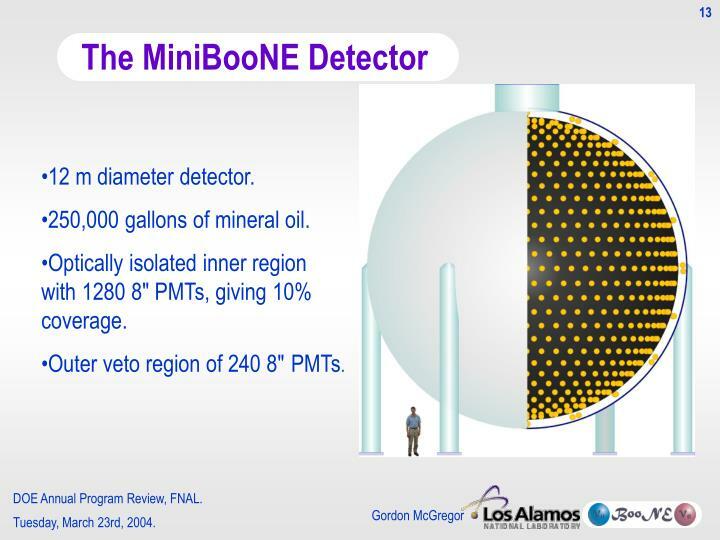 The MiniBooNE result complicates the particle picture. what are the credentials of the author behind this article?